Stuffed inside of this beautiful pocket of love is roasted tomato sauce, creamy fontina cheese, fresh mozzarella and delicious basil. 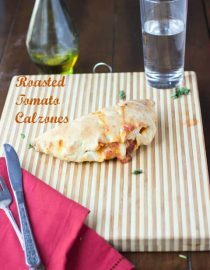 Do I really need to say anything more than, “Go make Roasted Tomato and cheese calzones“? I think not. I usually don’t like calzones because I find them a bit too heavy on the bread and greasy on the inside. Not my cup o’ tea. Not at all. 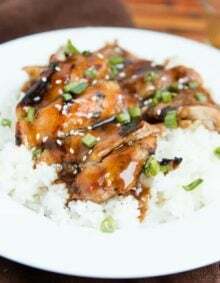 However, the more I started to think about it, the more I realized that if I didn’t like the way that others were making it, why couldn’t I just create my own recipe? So I started to make the dough, when an email changed my thoughts entirely. I received an email about child hunger. I wish that we lived in a world where no one had to go hungry. It seems so very easy to me. If we all stopped worrying about our personal gain and instead worried about taking care of everyone regardless of race, religion, economic background etc we could all be making it by. I know, that seems so far stretched, but I’m serious. There are so many kids out there that go hungry every single day, but we forget. We don’t always see their faces, but you and I both know that they are out there. Before our little one started school we had a talk with her. We told her to watch for the kids that don’t have anyone to sit by or play with, and to be there friend. But even more important we told her to watch for the kids that might not have lunch. I realize there are programs for this, but I guarantee that many get passed by. We told her to watch for the kids that aren’t bringing lunch and to always share a little of hers. It may be something small, but we want her to learn how to be mindful of others and their circumstances. We want her to notice the people and situations around her and even if she herself can’t do a lot, at least she can find a way to help a little. 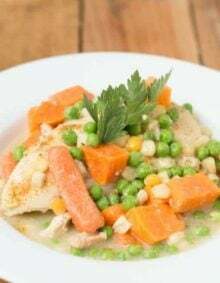 Macaroni Grill has teamed up with No Kid Hungry and just by writing this post Macaroni Grill has agreed to give $50 to connect a child to up to 500 meals. Get involved in the conversation. Use the hashtag #macgrillgive, and get talking. Every time you use #macgrillgive on Twitter or Instagram, Macaroni Grill will connect one meal to a child. That’s pretty amazing. Discover what others are saying and see if you and your families can help. There’s something you can do. I promise. Even if it’s just educating your children so that they can be aware and hopefully make a difference one day. Besides using #macgrillgive, you can get involved by going to the restaurant and donate $2, and get $5 off their next meal. OR – share an artist inspired image from our Mac Grill Give Facebook Gallery and they’ll help connect a kid with 1 meal. A quick note on how to create make a calzone. After dividing the dough into 6 portions roll each ball out like a pizza. 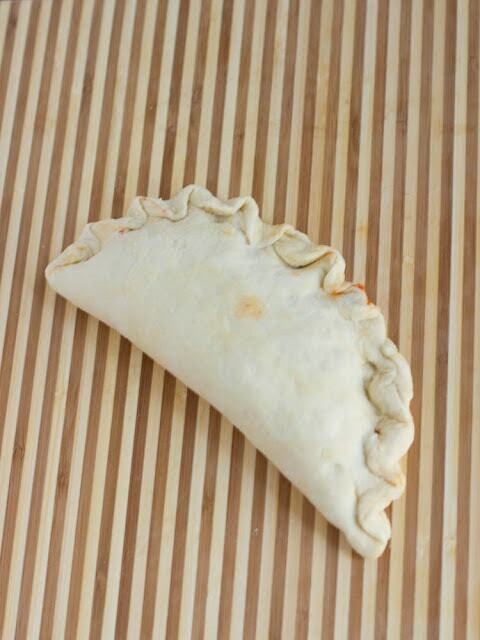 Place the filling on half of the dough and then fold over, pressing the edges closed. Place your left pointer on the edge of the dough at a slight angle. 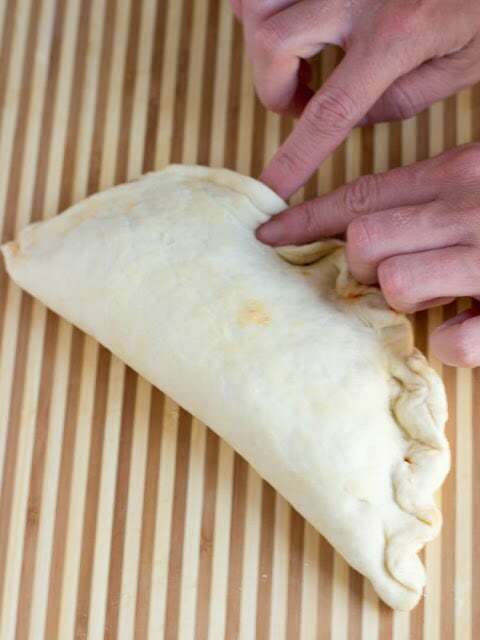 Place your right pointer finger under the dough just to the right of it. Lift your finger up and over the tip of your left hand, and press down to seal the edge. Continue all the way around the calzone until it is completely sealed. Use a paring knife to slice slits in a few locations across the top of the dough (not shown) to allow steam to escape. What Tomatoes Are Best For Roasting? You can roast any tomato. Slicers, beefsteak, large, small, all tomatoes have a more intense flavor when roasted. Plum or roma tomatoes hold up well to roasting and have a rich tomato flavor. Cherry tomatoes roast well too. Are Calzones Make With Pizza Dough? 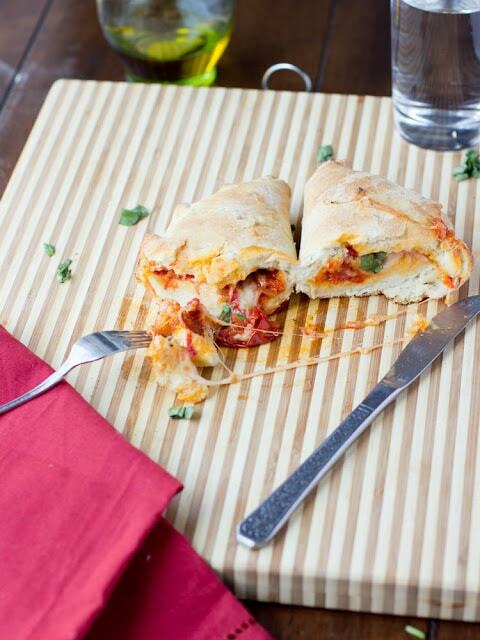 Yes, calzones are a pizza pocket made with pizza dough. 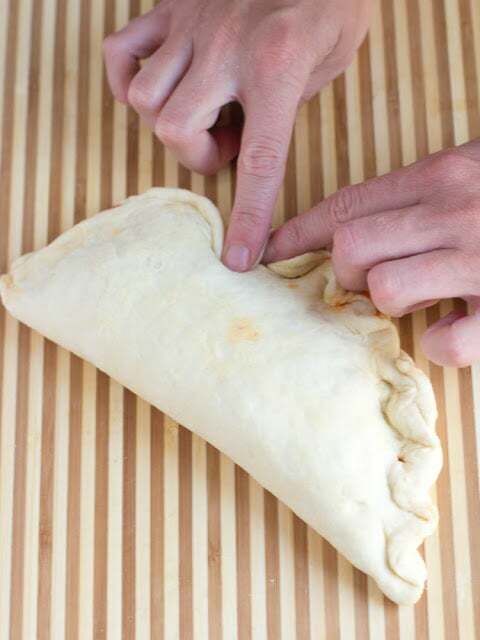 To freeze, let any leftover calzones cool completely, then wrap each individual calzone tightly in plastic wrap. 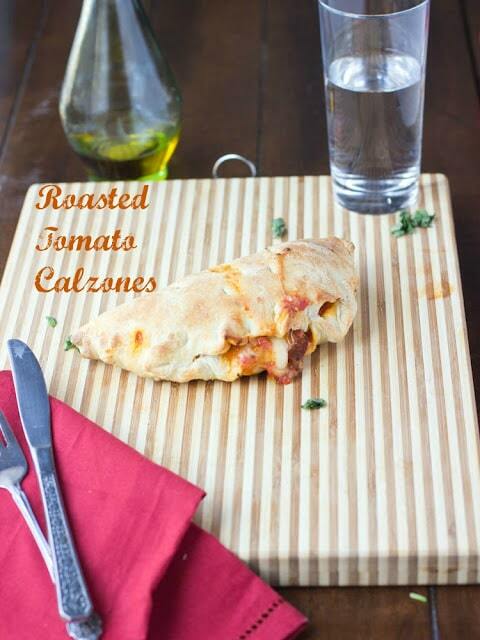 Place the calzones in a heavy duty freezer bag and freeze for up to 3 months. Place all of the tomatoes on a large baking sheet that has been drizzled with oil. Cut the tomatoes into chunks and toss on the pan with the olive oil. Depending on the size of your tomatoes is how long you will roast them. I had large tomatoes, and left them in large chunks, so I set the oven to 425 and roasted them for over an hour until they were soft and wilted. Later I used smaller pieces of tomato and it took only 20 minutes. You will want to watch carefully. 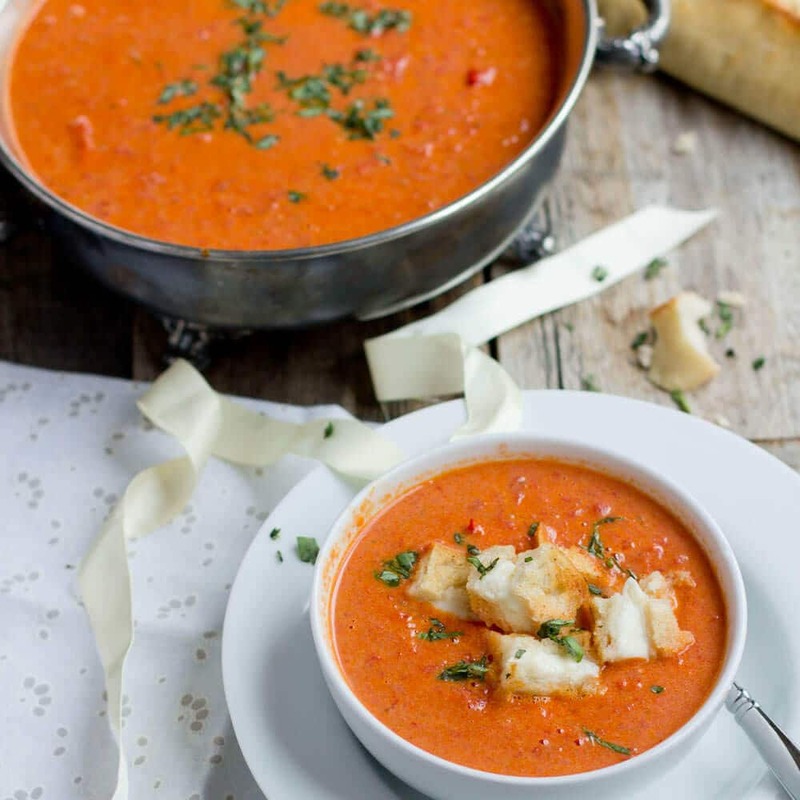 Once the tomatoes are roasted add the 2 tablespoons of oil and juice from the tomatoes to a large stock pot. Add the garlic and sautee until fragrant. About 1 minute. Add the carrot shreds and saute for an additional 1-2 minutes, stirring occasionally. Add the remaining ingredients, bring to a boil and then turn down to simmer for 20 minutes. Roll the dough out into small pizza circles. 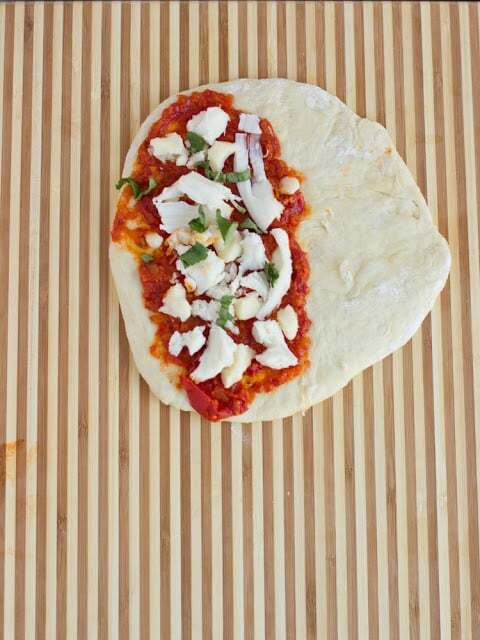 Spread 1/4-1/3 cup roasted tomato sauce on the dough, top with chunks of the two cheeses and fresh basil. Seal, and bake at 400 for 15 minutes. In a large bowl, whisk together the flour, yeast and salt. Place the mixture in the bowl of a kitchen aid and attach the dough hook. Turn the Kitchen Aid onto medium speed and slowly drizzle in the olive oil and then ice water, until the dough is smooth and elastic. Transfer the dough to a lightly oiled bowl and cover. Allow the dough to rise for about 2 hours in a warm place, or until doubled in size. Turn the risen dough out onto a floured work surface, divide in half, and then divide each half into thirds. Shape each third into a ball and let rest for 15 minutes. Roll each ball out into a circle and continue as directed above. 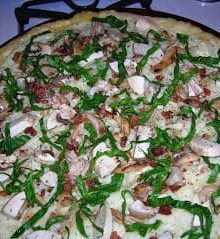 This recipe accounts for using the given dough recipe, this recipe may take longer or shorter if you substitute a different recipe. Much obliged to you to such an extent. I trust they really do it their entire lives.I think I simply read your whole blog! So adorable! Everything looks astounding. Particularly these calzones. Se puede usar directamente un calzón adobado con tomates? “Before our little one started school we had a talk with her. We told her to watch for the kids that don’t have anyone to sit by or play with, and to be there friend. But even more important we told her to watch for the kids that might not have lunch. I realize there are programs for this, but I guarantee that many get passed by. We told her to watch for the kids that aren’t bringing lunch and to always share a little of hers. Thank you so much. I hope they actually do it their whole lives. I think I just read your entire blog! So cute! Everything looks amazing. Especially these calzones. Great cause and the calzones look amazing too! I haven't had a calzone for so long and, like you, am usually turned off by the amount of dough. This looks like one to try…and for a great cause. My home town has the best calzones!! Josh and I get them every time we are at home. I need to make them more often…thanks for the yummy reminder. I love the idea of having your daughter look out for others at school. I think I'm going to do the same. 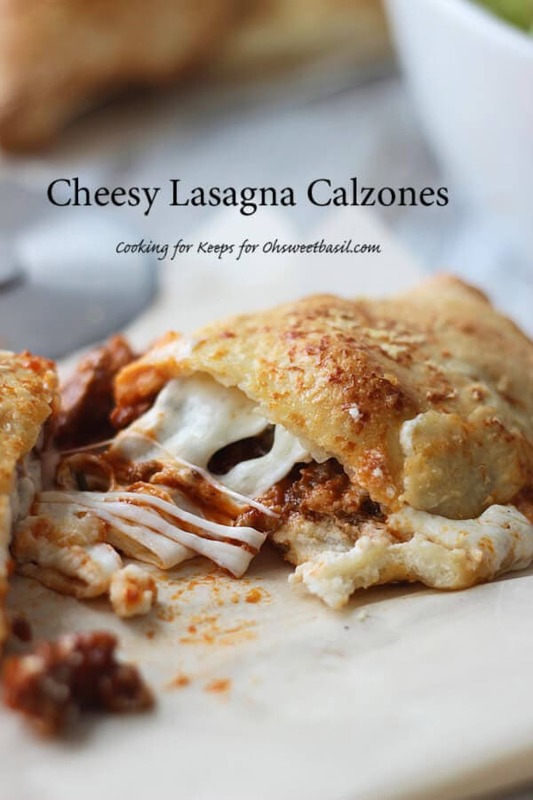 Oh, and make these calzones. This has me craving a good calzone! And you are so good for supporting such a great cause!